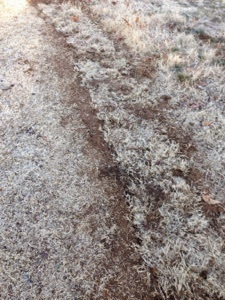 Tree roots will rob nutrients and water from turfgrass causing the turf to become Weak and exposing bare ground. 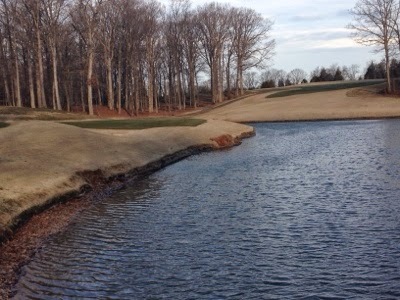 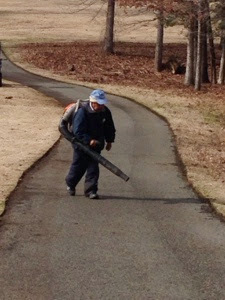 We have been Prunning the worst hit areas around the course over the last week. 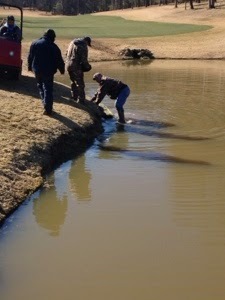 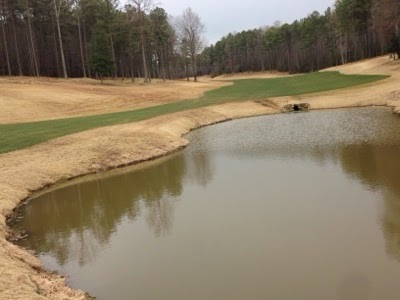 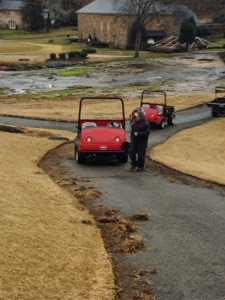 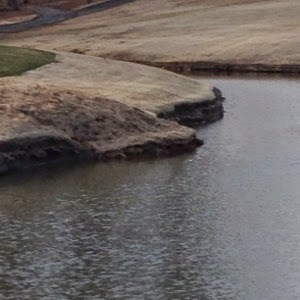 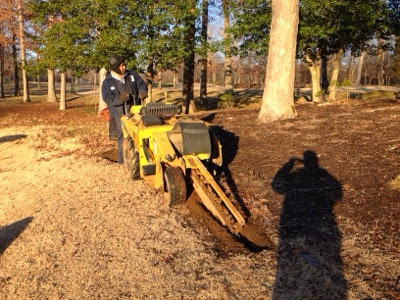 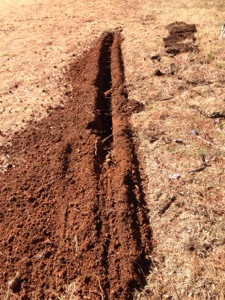 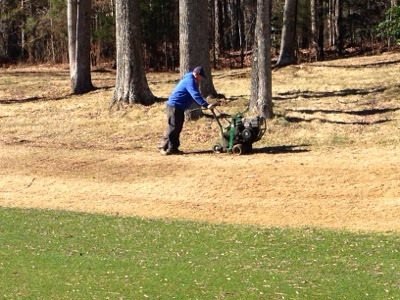 Our process has been to cut and remove sod from the area, trench down to approximately 8-10 inch while cutting through the roots on one or two sides of the trees drip line. 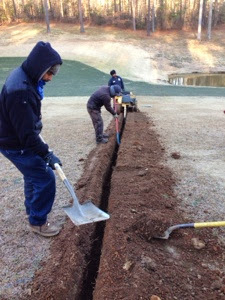 Third, the staff fills and tamps the dirt back into the trench line. 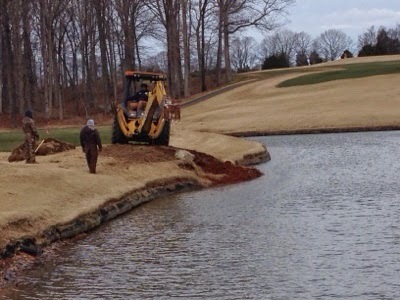 Finally the sod is laid back over the trench for recovery. 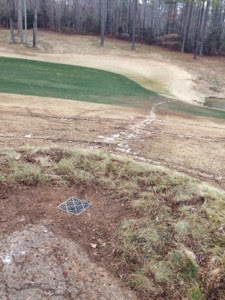 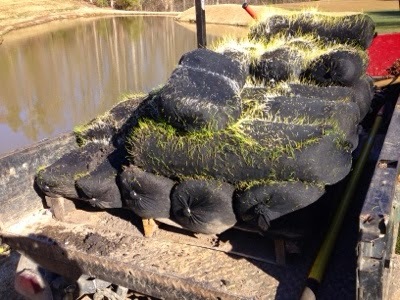 Sod is placed back over the trench once it has been filled. 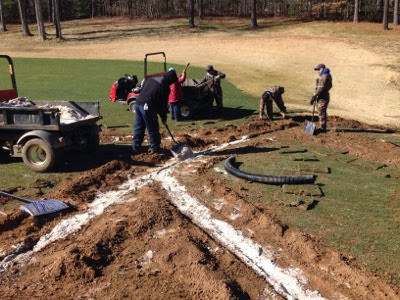 Adding a catch basin at the top of the hill along with several laterial drains to help eleviate wet condition at the junction of the fairway and the approach to #8 green surround. 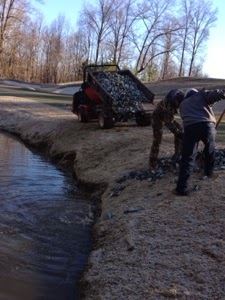 Adding gravel and drainage pipe in the landing area of #8 fairway. 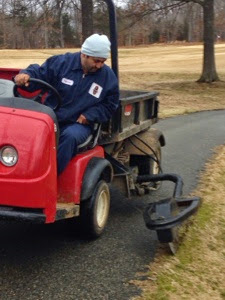 Edging the paths on these cold morning. 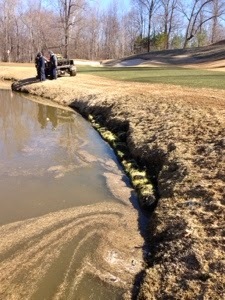 Blowing of the rest of the debris.